New Markets – When a traditional market does not respond, destinations must adapt and reach-out to new markets. While traditional markets should not be ignored or forgotten, destinations need to expand their reach. Focus Budgets– It is important to target limited funds on very specific areas. Destinations and private organizations must resist diluting their investments by trying to cover as much market as possible. It is amazing what can be achieved with limited budgets if they are applied effectively and consistently. A Balanced Approach – Marketing efforts should be directed to the consumer. Tourism and recreational real estate marketing strategies often rely heavily on third parties such as tour operators, travel agents, and brokers to connect with consumers. Though third parties continue to be essential players, consumers increasingly make purchasing decisions based on their own research and peer reviews. Therefore communicating directly with existing and potential clients is a key element in any successful campaign, as are great customer service and ongoing client care. Education – Destinations should reach out to consumers and educate them about the competitive advantages of their brand. Inform consumers what the destination offers and clarify misinformation. In addition, communicate what the destination is doing to correct issues that displease consumers. Speak the Consumers’ Language – Take into account language and cultural nuances to make sure the message being heard by the market is the one you are trying to transmit. Categories: Marketing Consultant, Recreational Real Estate, Tourism | Tags: Budget, Consumer, Hospitality, Tourism, travel | Permalink. El Cid Real Estate and Walfre Real Estate will bring a taste of Mazatlan to Regina, Saskatoon and Edmonton on October 14, 15 and 16, respectively. El Cid Real Estate and Walfre Real Estate will kick-off the “YourMazatlan” campaign in Saskatchewan and Alberta this October. The campaign – which is also sponsored by the Mexico Tourism Board and the State Tourism Board – will provide a platform for Americans and Canadians who travel to Mazatlan to share their experiences. Thus, travelers who are new to the resort can learn about it through their peers; and Snow Birds will have the opportunity to share their thoughts. The cocktail receptions, organized by Sinclair and Ruiz, will be a social medium for guests to meet new people and learn about wintering in Mazatlan. A brief presentation will discuss cost of living, healthcare and investment in the city. Several prizes will be raffled – including accommodation at El Cid Resorts. For further information and to register for the events, please visit www.yourmazatlan.com. If you don’t live in one of the city’s where the cocktail receptions are taking place, check the website after October 18th for promotions open to residents across North America and your opportunity to share your experiences. El Cid was one of the first master- planned resorts in Mexico and now boasts 4 hotels, a gated community, 27-hole golf course, Marina and Country Club in Mazatlan; and hotel resorts in Cancun and Cozumel. El Cid is home to the largest community of Americans and Canadians in Mazatlan and continues to be the most exclusive area in Mazatlan. Walfre Real Estate is the most respected real estate service in Mazatlan with over 30 years of experience serving Americans and Canadians. Professional services include: sales and leasing, legal and fiscal consulting, property management and rental referrals, translations and interpreter assistance. El Cid and Walfre, the two most recognized names for Mazatlan’s luxury real estate, have come together to share Mazatlan with North America. There is no better time to experience Mazatlan. Categories: Public Relations, Recreational Real Estate, Tourism | Tags: Alberta, beaches, Canada, Edmonton, el cid real estate, event coordination, event management, event planning, Golf, Holiday, Mazatlán, Mexico, Mexico Tourism Board, regina, Saskatchewan, Saskatoon, Tourism, Walfre Real Estate, Western Canada, www.yourmazatlan.com | Permalink. Francisco de la Vega Aragon, State Secretary of Tourism, led a delegation that invited Canadians to visit Mazatlan and the Copper Canyon. Vancouver, B.C. – Sept. 22nd, 2010- The Mazatlan delegation concluded its visit to Western Canada this past week. The group of travel industry executives and Tourism Board officials traveled to Vancouver, Edmonton, Calgary, Saskatoon and Winnipeg. The tour took place within the framework of Mexico Fest and the annual Addison Travel Trade Shows; and aimed to promote the Mazatlan and Copper Canyon Getaway. Mazatlan’s seminars encouraged guests to explore Cosalá and El Quelite – the magical towns that surround Mazatlan, in addition to cultural and historic attractions. Paul Beckman invited guests to participate in the upcoming Sustainable Nature Tourism Symposium & Expo taking place in Mazatlan in December 2010. Mr. Beckman, President of the event’s organizing committee, noted that the expo will bring together universities, entrepreneurs, governments and environmental authorities to discuss the development of sustainable tourism in the region. Thousands of Canadians travel to Mazatlan each year and many return multiple times to the city known as the Pearl of the Pacific. Throughout the tour, the delegation expressed the diversity of activities available, which provide new and exciting experiences to Canadians who choose Mazatlan as their holiday destination. Mazatlan is located on Mexico’s Pacific Coast at the foot of the Sierra Madre Mountains. 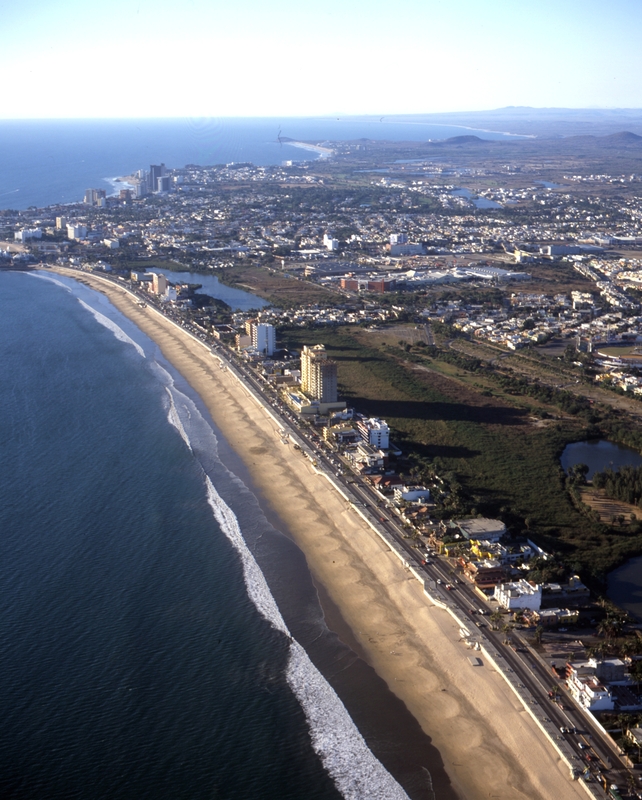 Founded in the 16th Century, Mazatlan possesses one of Mexico’s only seaside historic centers. One in every three travelers that visits Mazatlan is Canadian. 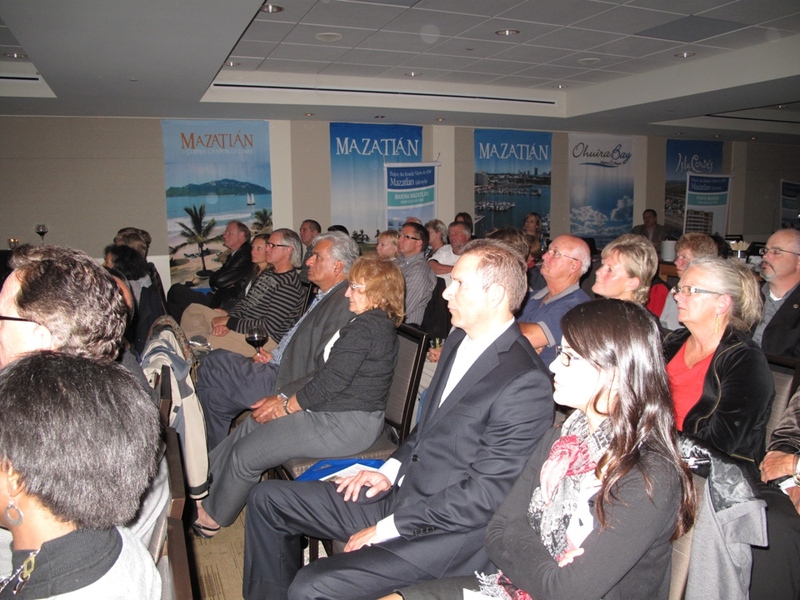 The city, State Tourism Board, and the Mazatlan Hotel Association are thrilled to bring a part of Mazatlan to Canada as a preview to the winter season. For more information visit: www.gomazatlan.com. Categories: Public Relations, Tourism | Tags: beaches, business, Calgary, Canada, Edmonton, Holiday, Mazatlán, Mexico, Mexico Fest, Mexico Tourism, Saskatoon, Tourism, travel, vancouver, Western Canada, Winnipeg | Permalink.